3 Parts Of A Negligence Lawsuit: Proof, Defenses and The Jury. Some car accidents and slip and falls in Florida require that a lawsuit be filed in order for the injured party to receive compensation. That is because the parties either cannot settle the case due to a disagreement over who caused the accident and/or the amount of compensation that should be paid to the victim. In Florida, both case precedent and Chapter 768 of the Florida Statutes control how these negligence lawsuits will be prosecuted, including what type of claims can be filed and which cannot. Generally speaking, in negligence cases, an injured party may be awarded monetary damages for a variety of issues such as lost wages, pain and suffering, medical bills, and other economic and noneconomic damages. Whether or not these damages are compensable will depend on things like the type of negligence involved; the harm that was suffered; and any defenses or protections available to the defendant (e.g., immunities). See, e.g., Slip and Falls on City Owned Property. Jurors decide on negligence cases by listening to the court’s instructions on the law and apply it to the evidence presented during trial. Why Does It Matter If Someone Wasn’t Acting Reasonably At The Time Of An Accident? According to Florida case law, each evaluation must consider the individual accident circumstances and compare them to the legal elements of a negligence case. See – Spivey v. Battaglia, 258 So. 2d 815 (Fla. 1972). According to long standing case law, negligence is defined as the failure to do what a reasonable and prudent person would ordinarily have done under the circumstances — or doing what a reasonable and prudent person would not have done under the circumstances. See, De Wald v. Quarnstrom, 60 So. 2d 919 (Fla. 1952). In Tampa Electric Co. v. Bazemore, negligence was further defined as ”… an omission by a responsible person to use that degree of care, diligence, and skill that was his or her legal duty to use to protect another person from injury that, in a natural and continuous sequence, causes unintended damage to the latter.” Tampa Electric Co. v. Bazemore, 85 Fla. 164, 96 So. 297 (1923). Negligence is a common basis for a large number of civil lawsuits here in Florida. In fact, most car accident and slip-and-fall lawsuits are based upon Florida’s negligence law. Passive negligence involves someone failing to do something or take action that results in a violation of his or her legal duty of care. In Florida, someone can be held liable under negligence law not only for what they did (active negligence) but for what they failed to do (passive negligence). See: De Wald v. Quarnstrom, 60 So. 2d 919 (Fla. 1952). What Do You Need To Prove In a Negligence Lawsuit? Just proving that an accident happened is not enough evidence to support a negligence lawsuit in Florida. In order for an accident victim to establish a cause of action for negligence, he or she must have admissible evidence of four pieces of information. These four pieces of information are known as the “elements” of negligence. See – Sorel v. Koonce, 53 So. 3d 1225 (Fla. 1st DCA 2011). actual harm suffered by the plaintiff. All four elements must be proven with admissible evidence in order for a victim (plaintiff) to recover his or her damages from the person who caused the accident (defendant). See Am. Jur. 2d, Negligence § 71. What Type of Proof Do You Need for Your Florida Slip and Fall Claim? In settlement negotiations, these elements are commonly referenced by insurance adjusters and attorneys as “Duty-Breach-Cause-Harm” (DBCH). Duty, Breach, and Cause deal with liability; proving that the defendant is responsible for negligence. Once that hurdle has been cleared, settlement negotiations focus on how the plaintiff was hurt and how much money the defendant and the insurance company will pay to cover the victim’s damages (Harm). Formally, to establish a claim for negligence, the victim must demonstrate: (1) the defendant had a legal duty to conform to a certain standard of conduct; (2) the defendant breached that duty; and (3) the plaintiff sustained damage that was proximately caused by the defendant’s breach. Beltran v. Rodriguez, 36 So. 3d 725 (Fla. 3d DCA 2010). This does not change the burden of proof placed upon the accident victim. He or she has to have sufficient DBCH evidence in order to win his case in settlement or trial. What does not have to be proven? Many negligence cases are based upon mistakes. The person who caused the accident may claim they didn’t mean to do the behavior that caused the accident to occur. Fortunately, intent is not an element, or factor, in a negligence lawsuit. Intent is only needed for “intentional torts.” Intentional torts include behavior like assault and battery, and intentional infliction of emotional distress. Punitive damages are available in cases where intent is an element. Punitive damages are generally not available in cases based upon mistake or failure to use reasonable care, i.e., negligence. The defendant will deny any or all of the 4 elements necessary to determine that the defendant was negligent – i.e. – Duty, Breach of Duty, Causation and Damages – meaning, the victim was injured as a result of the defendant’s behavior. Should the case not settle before trial and the negligence lawsuit proceeds to the jury, the judge will instruct the jury on the law that applies to negligence cases in Florida. The Florida Supreme Court approves standard jury instructions that are to be used in all civil actions. While the lawyers have some say in what instructions are to be given in their “charge conference,” the judge decides what the jury hears. The judge gives these instructions on the law to the jury- not the lawyers. These instructions can cover things from the evidence, to how jurors are to act during recess, and how they are to consider the facts and come to a decision. If a juror has questions about these instructions, he writes that question down and the bailiff messengers it to the bench. The judge responds accordingly. Negligence is the failure to use reasonable care, which is the care that a reasonably careful person would use under like circumstances. Negligence is doing something that a reasonably careful person would not do under like circumstances or failing to do something that a reasonably careful person would do under like circumstances. You must pay close attention to the testimony and other evidence as it comes into the trial. However, you must avoid forming any final opinion or telling anyone else your views on the case until you begin your deliberations. This rule requires you to keep an open mind until you have heard all of the evidence and is designed to prevent you from influencing how your fellow jurors think until they have heard all of the evidence and had an opportunity to form their own opinions. The time and place for coming to your final opinions and speaking about them with your fellow jurors is during deliberations in the jury room, after all of the evidence has been presented, closing arguments have been made, and I have instructed you on the law. It is important that you hear all of the facts and that you hear the law and how to apply it before you start deciding anything. When Does the Jury Hear Instructions on the Law? 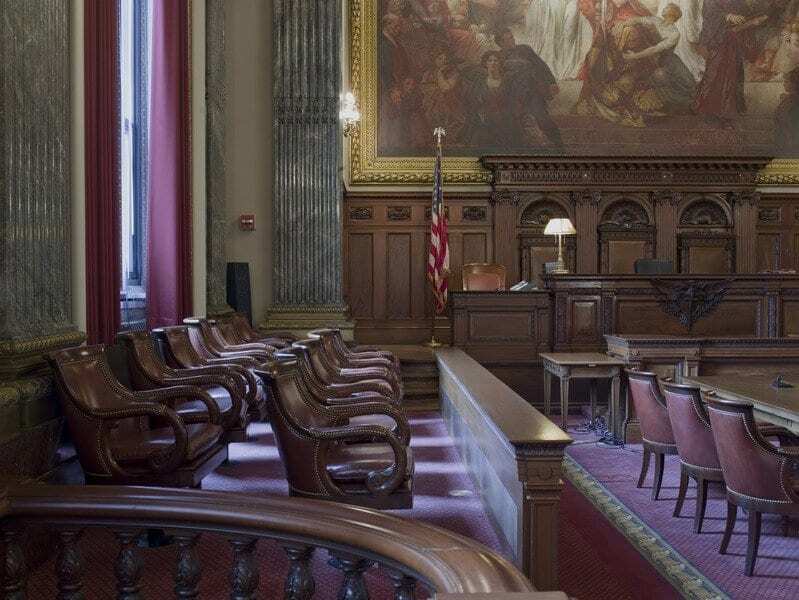 Traditionally (and in federal practice), the jury is only given instructions from the bench immediately before they hear closing arguments and are excused to deliberate. However, there is a trend right now in Florida courts where some judges are giving instructions on the law to jurors at the beginning of the case, as well as prior to deliberations. The idea here is that this allows jurors to get their minds thinking about what they are going to be considering at the end of the case. For these judges, they may have different instructions for the jury at the end of the case than what was provided before the presentation of evidence began. It is the set of instructions given at the end of the case that the jury must use to decide their verdict. If you or a loved one has been seriously injured in an accident, then you may have a claim for damages against the person who caused the incident. If you have evidence that he or she failed in his legal “duty of care,” this may constitute a viable negligence claim under Florida law. These accident claims can be complex and may need specific investigation in order to determine whether the elements (duty, breach, cause, harm) can be proven. For instance, in a car accident you will need to investigate things like speed, weather conditions, road hazards and what other vehicles on the roadway were doing at the time of the accident. A good piece of advice if you or a loved one are injured as a result of negligence is to speak with an experienced personal injury lawyer to learn about some of the issues that can arise with these claims, including the type of evidence needed to prove a claim and knowing how most insurance companies respond to these claims. Most personal injury lawyers, like Alan Sackrin, will offer a free initial consultation (over the phone or in person, whichever you prefer) to answer your questions. Do you have questions or comments? Then please feel free to send Alan an email or call him now at (954) 458-8655.